The hot topic of serialization is a concern not just for the representatives of the pharmaceutical industry. 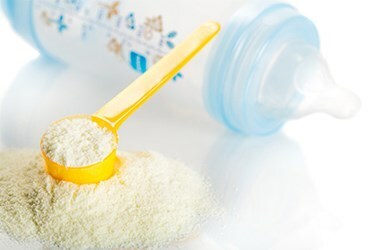 As a result of a loss of sensitive consumer confidence in domestic baby formula, China is increasing its imports of baby milk powder. Mechanisms have already been implemented by the government to ensure the unequivocal traceability of the foreign products. The action taken in the Far East pushes the subject of Track & Trace to the focus of the European food industry. Exports to China will be subject to special regulations that demand a high degree of flexibility from foreign producers. OCS Checkweighers supplies the Traceable Quality System (TQS), a unique solution that addresses all future requirements for global Track & Trace and industry-independent systems. TQS sets the highest standards for universal system compatibility and intuitive operations. TQS stands for ease of use and maximum flexibility for uncomplicated implementation and commissioning.